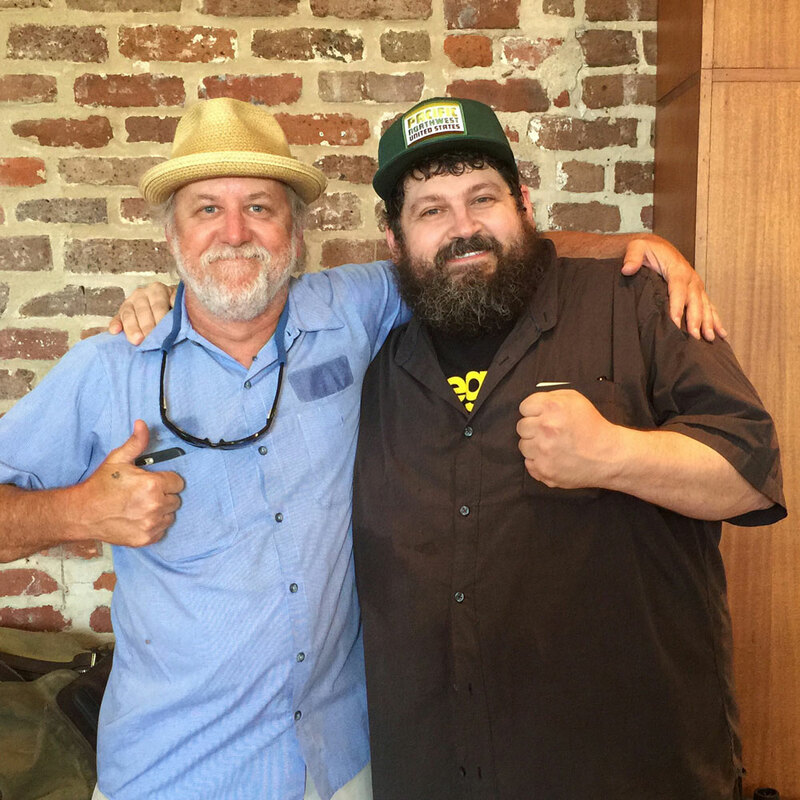 aaron draplin stopped by our town. the world is all good now. this guy. aaron draplin. one of my heroes, was in town yesterday speaking at the giant conference(thanks ant sanders for the pic and letting us crash the scene) — i closed the shop for a couple hours and took the team downtown to listen to his presentation. aaron, proud owner of the DDC, who i consider an icon in the world of graphic design, his authentic personality, philosophy on life and design is compelling, invigorating, hilarious and authentic. i am very proud to call him a friend and colleague. keep up the good work pal, we love you man.